A collection of published materials related to the history of the Town of Shawangunk and its institutions. In order to accommodate for staff availability and prepare non-circulating items for use, the collection can be accessed after an appointment has been made at least 48 hours in advance; walk-ins are taken on a case basis. Users are asked to place bulky items; bags, back-packs etc. , underneath the reading table to prevent damage to materials. Pens, markers and other permanent writing devices are prohibited. However, number 2 pencils, notepads, laptops and tablets are allowed for note taking. As per library policy, no food or beverages are permitted. 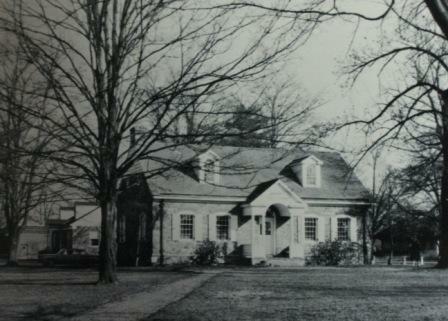 Postcard of the Wallkill Public Library c. 1950-1960. Wallkill Public Library Archives and Local History Collection. Do you have a local history or genealogy question? Contact our staff archivist here to schedule an appointment! The Purpose of the Local History Collection is to collect, preserve and make accessible published materials related to the history of the Hudson Valley and Ulster County; with an emphasis on the Town of Shawangunk, New York. The Collection is open to students, researchers and the general public. Although the majority of our items can be loaned, portions of our collection are closed to circulation and can be accessed by visiting the library in person.